Posted by Yilan in Cyprus, Kibris, Turkey. DEMETRIS Christofias, the president of Cyprus, is in every sense an original, if not an exotic, among international statesmen. He is the only national leader in the European Union who is a communist. He is a close friend and supporter of Israel, as indeed he is of Russia. He is worried about the burden of asylum-seekers on his native land, and thinks it’s unsustainable. He is hugely critical of American foreign policy, but his chief antagonist is Turkey. He is also a very good friend of former Australian foreign minister Alexander Downer, the UN Secretary-General’s special adviser on Cyprus, and full of praise for Australia generally. With about 100,000 Cypriot-Australians, we are host to the largest population, after Britain, of the vast Cypriot diaspora. What seems to be this bewildering list of contradictions in the Christofias political personality is really just a reflection of the contradictory pressures and exigencies of Cyprus’s own national situation. A former British colony, Cyprus’s population is divided between ethnic Greeks and ethnic Turks. Since 1974, about 37 per cent of its territory has been controlled by a separatist state calling itself the Turkish Republic of Northern Cyprus, recognised only by Turkey, which has some 40,000 troops stationed there. This may seem an obscure ethnic conflict, but it has king-size strategic consequences. Turkey wants to join the European Union. That requires unanimous agreement from all the EU members. It is inconceivable that Greece or Cyprus, both EU members, would ever agree to Turkey’s membership while it is in effect an occupying power in northern Cyprus. I caught up with the charming Christofias for his only extended interview during a visit to Australia. 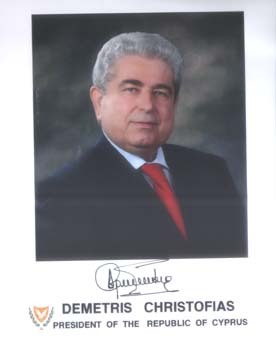 After elected president in 2008, Christofias made reunification his highest priority; he re-engaged the UN and began meeting with the leaders of the Turkish Republic of Northern Cyprus. He remains ambitious that a reunification settlement can be reached before the end of 2012. “The state of Cyprus will be a bizonal, bicameral, federal state with political equality of the two communities,” he says. In 2008, the two sides met under the auspices of the UN Secretary-General and Downer. Observers say that the broad outlines of an agreement are there, but the main sticking points are where to put the border, what happens to the properties of Greek Cypriots in northern Cyprus which were seized after 1974, and to what Christofias describes as “Turkish settlers”, that is, mainland Turks who have settled in the north since 1974. He hopes the Turkish attitude might change after its elections next month, but like a lot of acute observers of international politics he is troubled by trends in Turkey: “There are several contradictions in Turkey in recent years. On the one hand they want to become Europeans. That means reforms, a less decisive role for the military, more democracy. I’m not sure (Turkish Prime Minister Recep Tayyip) Erodgan has overcome the decisive role of the Turkish military in the Cyprus problem. The military follows an expansionist attitude towards Cyprus. “At the same time Turkey is following a policy of intense economic development and her influence in the region is upgraded as a result. It has a theory that Turkey can become a model for other Muslim countries. “But this creates a certain arrogance on the part of Turkish leaders. On the one hand they want to become part of the EU, but they also look to the Middle East and North Africa and want to become the leading country of that region. One contradicts the other. Sometimes they say we don’t need the EU — Turkey is a superpower. In Cyprus, Downer has sometimes been a subject of controversy. Neither side finds his approach wholly congenial, which is almost certainly an indication that he is doing his job, as both sides must make painful compromises to reach a solution. Christofias is certainly the most agreeable communist I have ever met. He explains his communism by saying that the ex-communist states of Eastern Europe didn’t do a very good job. He approaches issues of economic justice by concentrating on the welfare of the lower and middle classes. Above all, he says, his is a pragmatic approach, concentrating on reunification of Cyprus and the immediate practical problems his society faces, leaving larger theoretical questions of dogma for another day. If only all the world’s communists were like him. Greek Cypriots will only be the neighbors – and not the partners – of Turkish Cypriots as long as they continue to display the same stance on the Cyprus issue, the foreign minister in the island’s north said Wednesday. Özgürgün said using the Cyprus issue as an obstacle on Turkey’s road to European Union membership was unfair. Özgürgün said Turkish Cypriots wanted a new partnership based on the political equality of two nations, the equal status of two founding states, a bizonal structure and a continuation of Turkey’s role as an active guarantor state. Posted by Yilan in Cyprus, Kibris, KKTC, Turkey, Yunanistan. Turkey celebrates the April 23rd National Sovereignty and Children’s Day with world’s children on Saturday. April 23, 2011. Children from 90 countries including the United States, China, Azerbaijan and Armenia, are competing in 13 branches in the games, opened on Sunday to mark the April 23 National Sovereignty and Children’s Day. Greece withdrew on Monday from the world children’s games taking place in Ankara, Turkey, showing participation of the Turkish Republic of Northern Cyprus (TRNC) as a reason. Ankara’s Mayor Melih Gokcek said the Greek team withdrew from the games on the first day of the First World Children’s Games organized by the Municipality and Directorate General of Youth & Sports. “It is not possible to accept such an ill-minded and saddening behavior that makes children a tool of politics,” Gokcek said. Gokcek said the organizers had rejected Greece’s demand to exclude TRNC from the games, and defined Greece’s behavior as a stroke on world peace and friendship. Posted by Yilan in Bulgaria, Kibris. Bulgarian Diaspora Minister Dimitrov has boasted a doubling of the number of the Bulgarian schools abroad. Bulgaria’s government is currently perplexed as to how to go about the opening of a Bulgarian school in the unrecognized Turkish Republic of Northern Cyprus. This has been announced by Diaspora Minister Bozhidar Dimitrov, who spoke at a public discussion in Sofia organized by the “PR Thursday” club of M3 College where he was the special guest. “We have been really surprised to find out that there are about 9 000-10 000 Bulgarian expats of ethnic Turkish origin residing in Northern Cyprus, who have asked for the opening of a Bulgarian school so that their kids can attend it,” Dimitrov said. He explained that the expats in question are from those Bulgarian Turks who left Bulgaria in the late 1980s fleeing from the so called “Revival” or “Regeneration Process”, an assimilation campaign of the Bulgarian communist regime forcing Muslims, Bulgarians and Turks alike, to adopt Slavic-Christian names. Estimates say some 200 000-300 000 Bulgarian Turks and Muslims left the country then even though about half are believed to have come back after the regime collapsed in 1989. “What is particularly bewildering for us in this case is the fact that Bulgaria has not recognized the independence of the Turkish Republic of Northern Cyprus, and therefore the Bulgarian government has no way of sponsoring a Bulgarian school there. If we open a Bulgarian school there, this will mean the recognition of this quasi-state. So we are stuck at the moment. But we will definitely find some form under which we can do it, in one way or another,” Dimitrov said. 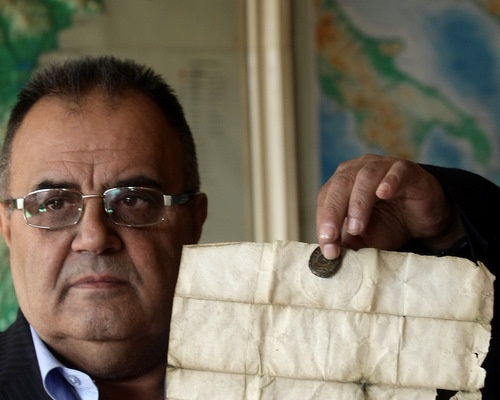 He pointed out that a similar community of expat Bulgarian Turks living in Turkey’s Edirne, right to the southeast of the Bulgarian border had asked the Bulgarian government for a Bulgarian school, which is currently attended by 53 children. The Diaspora Minister boasted an increase of the Bulgarian schools abroad to 136 since he took office a year ago, up from about 50. 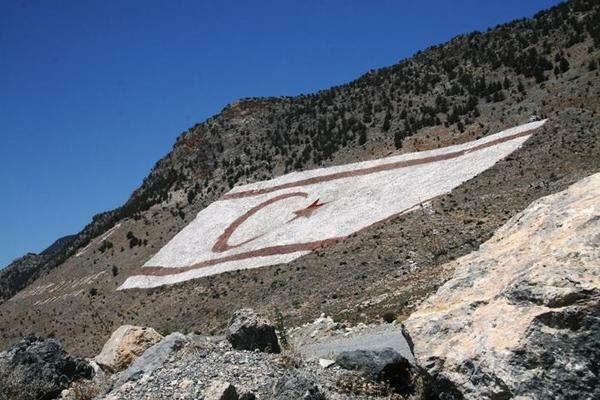 The Turkish Republic of Northern Cyprus was proclaimed in 1983 and has been recognized only by Turkey. Posted by Yilan in Cyprus, Kibris, Yunanistan. Disagreements on how to resolve the prickly Cyprus dispute have once more erupted between the Greek and Turkish Cypriot leaders, this time on whether Turkey should be a party in ongoing UN-led negotiations. Turkish Cypriot leader Derviş Eroğlu and Greek Cypriot leader Dimitris Christofias have both been in New York to attend the UN General Assembly. United Nations Secretary-General Ban Ki-moon held bilateral meetings with Christofias on Tuesday and with Eroğlu on Saturday. Both meetings focused on the status of the ongoing negotiations which began in 2008 — as the latest of many mediation efforts after the then-leaders of the two communities committed themselves to working towards a bi-communal, bi-zonal federation with political equality, as defined by relevant Security Council resolutions. Christofias, addressing the UN General Assembly on Friday, said he wanted to hold direct talks with Turkey on the future of peace talks on the ethnically split island, where a decades-old conflict threatens Ankara’s bid to join the European Union. “From this podium, I repeat my call to the Turkish leadership to meet me, parallel to the negotiating process, so that I can share with them my vision for a solution to the Cyprus problem which would serve the interests of the Cypriots, of Turkey, of Greece, as well as of peace and security in the region,” Christofias told the assembly. Eroğlu, however, speaking at a press conference following his meeting with Ban on Friday, firmly ruled out such a composition of negotiation when reminded of Christofias’ remarks. “The problem is between Turks and Greeks living in Cyprus. The Greek Cypriot will for holding negotiations with Turkey means escaping the negotiating table. Certainly, neither Turkey nor Greece would like to be the intervener in an agreement that is not embraced by both Turkish Cypriots and Greek Cypriots. Moreover, Turkey is our motherland and, of course, we are having consultations [with Turkey]; but we are the parties who will resolve the Cyprus dispute,” Eroğlu said at the press conference held at the Türkevi, which hosts Turkey’s permanent representation to the UN and Turkey’s consulate general in New York. Greece, Turkey and former colonial ruler Britain are guarantor powers of Cyprus’ independence agreement in 1960 — giving them the right to intervene militarily if the terms of that agreement are threatened. The four-decade-old Cyprus problem erupted after the eastern Mediterranean island was granted independence from Britain in 1960, soon followed by an outbreak of inter-communal clashes in 1963. The island was ethnically divided between a Greek south and a Turkish north when the Turkish military intervened in 1974 under the terms of the 1960 Treaty of Guarantee after diplomacy failed to end unrest on the island. In addition to the Turkish Cypriot Peace Forces Command (KTBK), made up of 4,500 Turkish Cypriots, there are around 35,000 Turkish troops stationed on the island. “The fact that he [Christofias] wants to escape the negotiating table and meet with Turkey shows that he doesn’t accept us as a counterpart — which is an extremely wrong idea. His counterpart is us,” Eroğlu said. He, nonetheless, added that once the negotiations reached a certain level of mutual consensus, then the Turkish Cypriot side wishes to have a quadrilateral meeting among Cypriot leaders, Greece and Turkey.